The SBRF field season is in full swing! 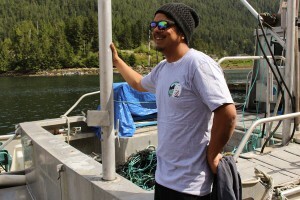 After a week of preparation and community engagement, the crew set out Monday on the first round of research, setting up bear monitoring research sites. We are fortunate to see the return of senior staff, as well as many new additions. 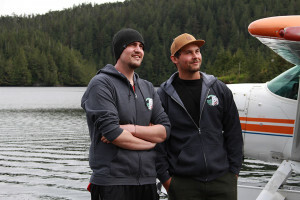 Each crew member brings with them diverse knowledge and backgrounds. Look out for a future blog post for team bios! Other than the usual field prep, last week was packed with visits to the school, photo shoots, and news of bears on islands. 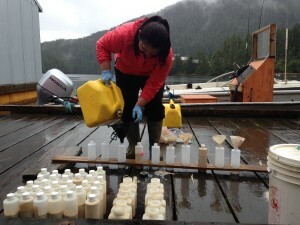 Krista, who started with SBRF in 2013, filling fish bait, a scent as delicious to bears as it is repulsive to humans. It is a non-reward scent that attracts but doesn’t feed bears. 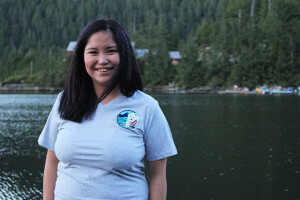 A visit with grades 6-8 students from Kitasoo Community School was a highlight. They assisted us in testing a few of our remote wildlife cameras. The students set up their desired camera settings (video length, photo size, etc. ), which included one’s time stamp of 2039. The rationalization? Time travel, of course. 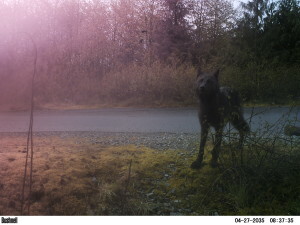 We discussed the types of animals that may be picked up by the cameras, and after hearing that a wolf (Laxgibuu in Tsimshian) was sighted on a road above the school, the students decided to try and capture images of it. 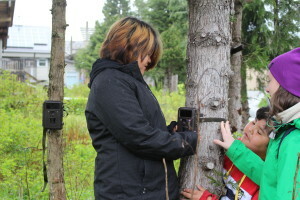 Students learning how to use remote wildlife cameras that we use at our bear monitoring sites. They learned to analyze where best to set the camera up to make sure that the wolf’s image would be captured. The students were right – check out the image below! The students were very excited to see all the images that were captured during a school visit a few days later. 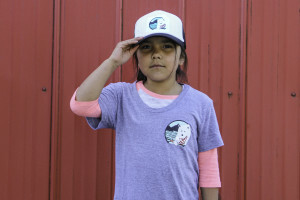 Another highlight was having team and community members modelling for our “Spirit Bear Swag” collection. We had great fun down on the dock snapping photos and getting to know some of our community supporters. Lately community members have been stopping us on the road to inform us of bear sightings, including grizzlies and black bears. This local knowledge is very important for our research, and we will be conducting follow up interviews regarding these sightings in the coming months. We are excited to see what this field season brings for myself and the rest of the crew!